« Stand up! Save the Robot! 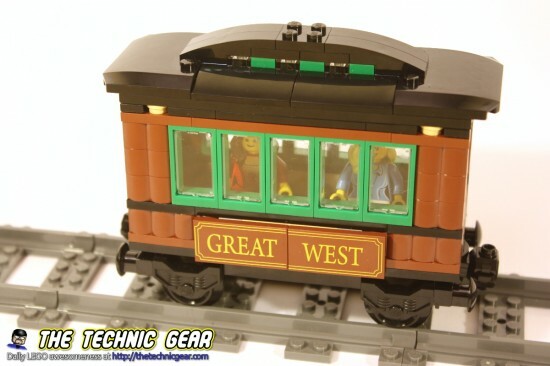 So do you want to motorize the 7597 Toy Story’s Western Chase Train? Well, let me explain how I did it. 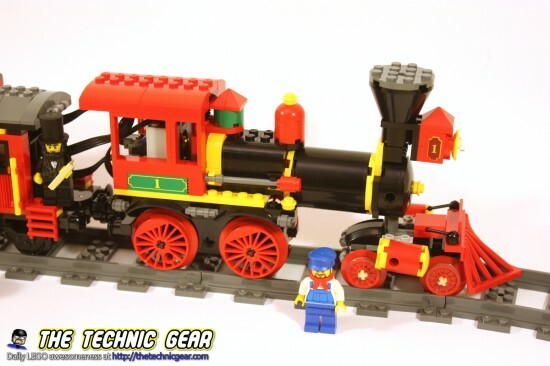 To motorize this LEGO Train we have to challenges to solve, first we need to correct the wrong proportions of the train by making it shorter and then we need to add the PF motor parts so it can work. So before we begin you will need a PF Train Motor, a IR Reciever and a AAA Battery box. 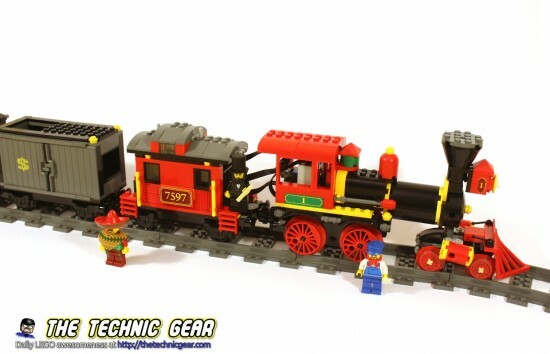 It is around 50€ is the LEGO Shop… or you can do what I did, get an extra 7939 Cargo train, you will get all the parts plus a good amount of tracks. In the locomotive it is an easy task, it won’t give you problems. On the Passenger cars it is also quite simple, just remove one row. On the money car on the other hand, you have a problem because you don’t have really any row to remove, so my advice is to remove as many plates as possible without affecting too much the structure of the model… much like this. So the simpler part is done. Ok, now it is time to add the PF Motor to the model. I choose to use the locomotive rear part and place there the motor because I thought it would look better. By adding the motor there you need to rework the front part of the train because the 9V Motor is slightly larger than the bogey it was using. Another problem I realized later was that as the wheels were quite big the train ran too fast. You can check it on the video. For me this one was easy. I placed it on the locomotive. It is slightly visible and it doesn’t left any room for the train driver but I really like the location and the fact that it is hard to notice. 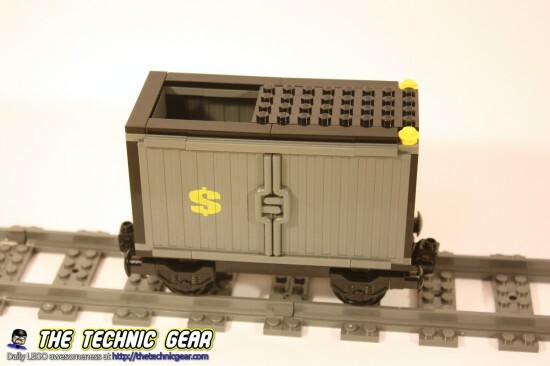 And well… the battery box… I really think the best location for this would be the locomotive so that it weight more and it gets more adherence to the rails… but definitively there is room for it, so I move the battery box to the next car. I like the reworked train, it looks much better than the original in my opinion. I perhaps will try to place the motor under the safe car and check what I get. 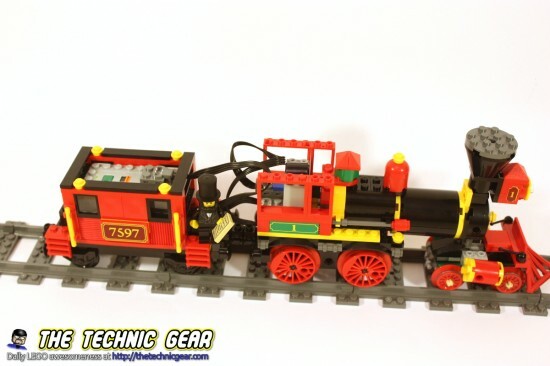 Can you suggest the best tracks to purchase for the motorized train 7597?